Salk Institute researchers have discovered a holy grail of gene editing—the ability to, for the first time, insert DNA at a target location into the non-dividing cells that make up the majority of adult organs and tissues. 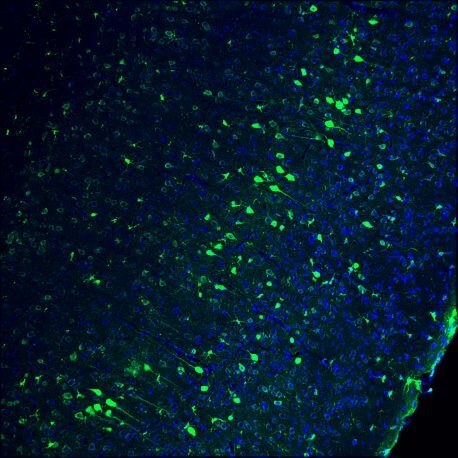 The technique, which the team showed was able to partially restore visual responses in blind rodents, will open new avenues for basic research and a variety of treatments, such as for retinal, heart and neurological diseases. Until now, techniques that modify DNA—such as the CRISPR-Cas9 system—have been most effective in dividing cells, such as those in skin or the gut, using the cells’ normal copying mechanisms. The new Salk technology is ten times more efficient than other methods at incorporating new DNA into cultures of dividing cells, making it a promising tool for both research and medicine. But, more importantly, the Salk technique represents the first time scientists have managed to insert a new gene into a precise DNA location in adult cells that no longer divide, such as those of the eye, brain, pancreas or heart, offering new possibilities for therapeutic applications in these cells. Story from Salk Institute. Please note: The content above may have been edited to ensure it is in keeping with Technology Networks’ style and length guidelines.